What happens when Scorpions and Lions work together? You get the beast that is the Manticore! Scorpion conflict deck oriented to play few but expensive cards that give huge swings in the game. Focus on giving your opponent's characters dishonor and then win by reducing them to zero honor. Bid low and eat their hand! Scorpion Deck Splash with Crab. Focused towards a Dishonor win and Political Conflict. The deck Zak Matthews played in the learn to play scorpion vs crane video. 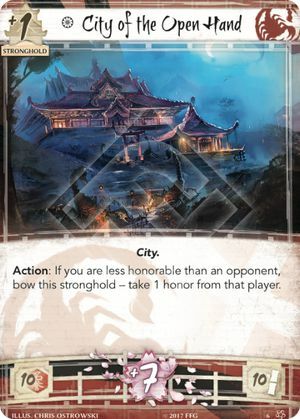 A trial build at a Scorpion Dishonor deck. Just a quick build to try building a flexible Scorpion deck.